Aaron obtained his bachelor’s degree from the University of Kansas, and his master’s degree from Lehigh University, located in Bethlehem, PA. 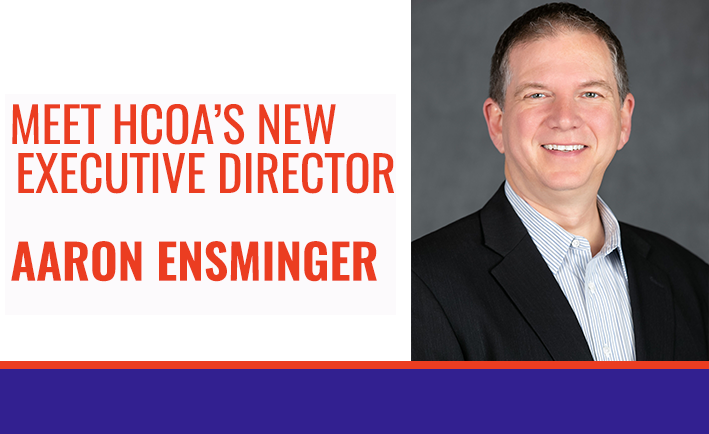 He comes to us from the National Auctioneer Association (NAA), after serving six years as the NAA’s Director of Education. In his previous role, he was responsible for developing and promoting educational programs, both in-person and online for the auction industry. Aaron has a strong background in communications, budgeting, membership and management. He plans to bring a diverse amount of experience, skills and knowledge to HCOA. He is particularly eager to work with a membership organization on the Sertoma side, and is also looking forward to promoting HCOA’s programs. When Aaron is not hard at work developing new ideas or working with board members, he can be found spending time with his wife of 14 years, Angela, and two sons, ages 8 and 10. He enjoys traveling to new places, especially the beach, and watching his children play basketball and soccer. If you are interested in learning more about Aaron, his goals and expectations, you may contact HCOA headquarters at 816.333.8300 and your questions will be directed to him.